Poland , officially the Republic of Poland, is a country in Central Europe bordered by Germany to the west; the Czech Republic and Slovakia to the south; Ukraine, Belarus and Lithuania to the east; and the Baltic Sea and Kaliningrad Oblast, a Russian exclave, to the north. World leaders are meeting in Washington, D.C., to attend a joint IMF-World Bank meeting. Their focus? 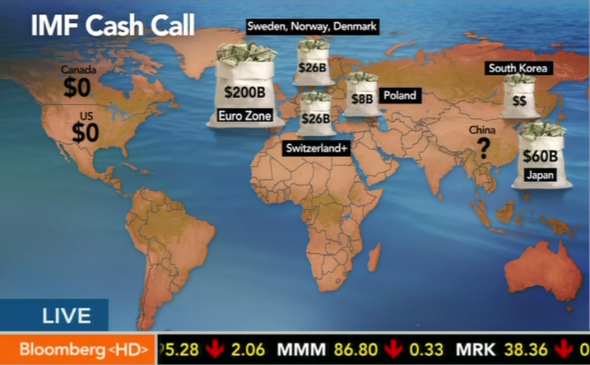 The funding available to the IMF, specifically to support the ongoing debt and bank crises in Europe. Countries in Europe and Asia have expressed interest and even firm commitments in contributing more money to the fund. The U.S. and Canada, however, have said they won’t contribute any more cash to an effort EU leaders should be able to resolve themselves. 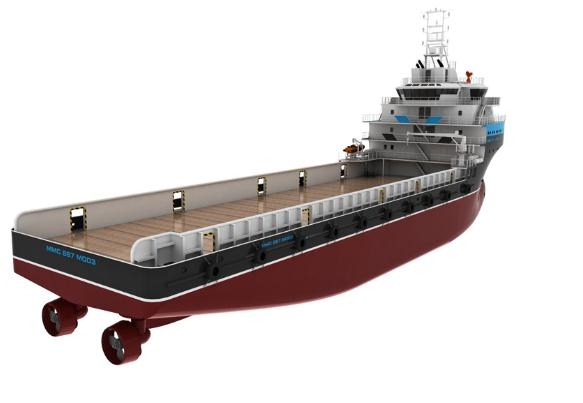 REMONTOWA SHIPBUILDING S.A has signed a contract for building of a Platform Supply Vessel for Edison Chouest Offshore from Louisiana, USA. New building vessel is continuation of the series of four units of the same type which has been started last year. She will be built according to the project elaborated by polish design office MMC Ship Design & Marine Consulting Ltd from Gdynia. The vessel will be equipped with Diesel – Electric propulsion system allowing most cost efficient exploitation, reduction of fuel consumption and lower emission of NOx and SOx to the atmosphere. Working deck of 1000 m2 will enable to carry high-volume goods, which makes that vessel the biggest one in her class. Technically advanced vessel will operate the complex deep-water operations in the region of South America and Africa. The vessel will be equipped with Class 2 dynamic positioning system and fitted to operations in world – wide sea areas, in each weather conditions. After completion of the construction and carriage of complex sea trials, the vessel will be delivered to the Owner in the fourth quarter of 2013. The contract includes an option to build another, sister vessel. Exxon Mobil Corp. (XOM)’s failed shale-gas wells in Poland may hobble the nation’s effort to become one of the world’s major energy sources and dismantle Russian dominance of Eastern European natural-gas markets. Exxon, the world’s largest energy company by market value, said two exploratory wells drilled in a Polish shale formation last year weren’t commercially viable. The gas discovered in the wells, Exxon’s first in Poland, failed to flow in sufficient quantities to justify bringing them into production, David Rosenthal, vice president for investor relations, said during a conference call yesterday. International energy prospectors, including Marathon Oil Corp. (MRO), Chevron Corp. (CVX) and Talisman Energy Inc. (TLM), are probing Poland’s shale deposits to see if drilling techniques that revolutionized U.S. gas production can unleash reserves big enough to supply Polish demand for more than three centuries. Exxon’s setbacks suggest Poland’s shale poses unique challenges that may increase costs and delay output, said Gianna Bern, founder of Brookshire Advisory & Research in Chicago. Poland’s shale formations hold 187 trillion cubic feet of recoverable gas, according to an April 2011 assessment by the U.S. Energy Department. Those resources are 32 times larger than the country’s conventional gas reserves and enough to supply domestic consumption for 322 years. For Poland, successfully unlocking gas from shale would be a boon to domestic manufacturers and power producers by diminishing the need for Russian imports that now supply two- thirds of demand, said Benjamin Schlesinger, president of Benjamin Schlesinger and Associates Inc., a Bethesda, Maryland- based adviser to gas producers, utilities, regulators and financial-services firms. Poland’s dominant gas company, Polskie Gornictwo Naftowe i Gazownictwo, pays Russia’s state gas company Gazprom OAO (GAZP) $500 for 1,000 cubic meters ($14.16 per million British thermal units) of gas. That’s six times the benchmark U.S. price for the fuel. Gazprom’s depositary receipts rose 2.5 percent to $12.40, the highest closing price since Oct. 28. The London-listed receipts each are worth two ordinary shares in the Moscow-based company. Exxon’s failures followed disappointing results at Polish wells drilled last year by 3Legs Resources Plc and BNK Petroleum Inc. (BKX) London-based 3Legs’s Lebien well and BNK’s Lebork well flowed at lower rates than similar prospects in the Barnett and Fayetteville shale regions in the U.S., Sanford C. Bernstein & Co. said in a Nov. 10 note to clients. “Poland is cited among Europe’s best shale prospects, but Exxon’s result supports our caution on achieving material near- term volumes,” Oswald Clint, a London-based analyst at Bernstein, said in a note today. Even so, it may be too early to draw any firm conclusions from Exxon’s drilling failure, said Pawel Poprawa, who specializes in shale at the Polish Geological Institute in Warsaw. Marathon Oil said today that it’s evaluating data after finishing its first well in a Polish shale formation. The Houston-based company said in a statement that it intends to drill three more wells during the next few months and withdraw rock samples for testing. Marathon plans a total of six to seven Polish shale wells this year, according to the release. The Polish shale results come after Exxon encountered a dry hole in Hungary in late 2009 drilled in a tight-sand deposit similar to shale. Exxon walked away from the $75 million project after striking more water than gas. Exxon and other major North American energy producers have been lured to explore shale prospects from Germany to Argentina after largely missing out on the boom in shale extraction in the U.S. that began in the middle of the last decade. Smaller explorers such as EOG Resources Inc. (EOG), Chesapeake Energy Corp. (CHK) and Range Resources Corp. (RRC) came to dominate the U.S. shale industry by default as the biggest international companies focused on locating billion-barrel offshore crude fields in places like the Gulf of Mexico and West Africa. Shale formations were ignored by much of the energy industry for most of the past century because the rocks were considered too hard to crack using traditional drilling techniques. That began to change in the late 1990s with the development of new horizontal drilling practices and more- intensive hydraulic fracturing that succeeded in unlocking gas and crude from shale and similarly dense geologic deposits. Exxon sought to jump-start its shale program in June 2010 with the $34.9 billion acquisition of XTO Energy, a Fort Worth, Texas-based pioneer of shale development. In addition to shale wells and undrilled prospects that stretch from the Mexican border to Canada, Exxon wanted to transfer XTO’s in-house expertise to foreign shale fields. Exxon hasn’t disclosed its plans for further drilling in Poland. The shares rose 0.3 percent to $83.97 at the close in New York. Poland has led European shale exploration by virtue of its tempting geology and by offering “attractive fiscal terms” to prospectors, the Energy Department in Washington said in a September report. Still, a “likely aggressive tax burden” to be imposed on shale-gas producers may damp investor enthusiasm, analysts at Bank Zachodni WBK SA, based in Wroclaw, Poland, said yesterday in a note to clients. Polish drilling also has been hindered by a scarcity of rigs, water and specialized equipment needed for shale wells, Bern said. “Getting the things you need to drill these wells is much more difficult in Poland than in the United States, where the shale industry is very well-developed,” Bern said. 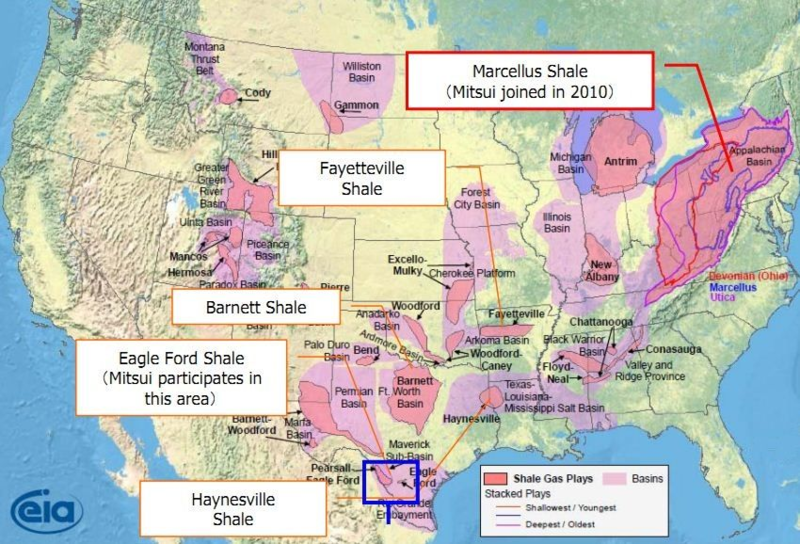 Mitsui & Co., Ltd. announced that Mitsui E&P Texas LP, a wholly owned subsidiary of Mitsui, and SM Energy Company have closed the previously announced agreement for MEPTX to acquire a 12.5% working interest in SME’s Eagle Ford property in Texas, USA. The Ministry for the Environment, Energy and Climate Change announced a special preparatory research project to be awarded to the Greek state-owned Institute for Geology and Mineral Exploration (IGME), in order to explore potential shale gas reserves in the territory. More specifically, the Deputy Minister Ioannis Maniatis revealed in a press conference that after a series of preliminary examinations by a scientific committee on the issue, the decision was taken based on similar initiatives by other European countries. 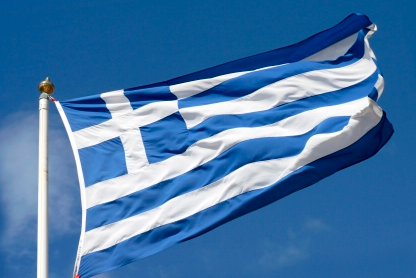 Moreover, the Greek Ministry released a report examining best practices in other countries and concluding that the present day technology can be of use regarding the potential Greek reserves. Special note was highlighted in the examples of Poland, France and Bulgaria. Moreover it was made known that in the near future Greece may join the Shale Gas Resource initiative. 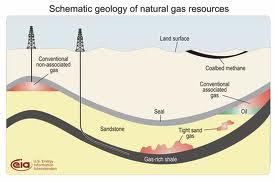 Furthermore Maniatis noted to the press “The research regarding shale gas is an integral part of the national strategy for energy that focuses on the use of gas either of a conventional or unconventional nature”. Moreover he added that ” The prospects for shale gas worldwide are impressive, since in the year 2000 just 1% of the global production of natural gas came from that source, whilst nowadays that figure has multiplied, and for that reason and for the purpose of Greek energy security the Ministry will proceed if adequate reserves exist in Greece, keeping in mind the present optimistic data”. IGME, responsible for state-directed geological research in the country and the outlook for the shale gas, will survey for a three-month period beginning in early 2012, before any initial findings are announced. Further, it is possible that the research will be funded by EU structural capital and will also involve the cooperation its Bulgarian counterparts who are already researching in their own country.